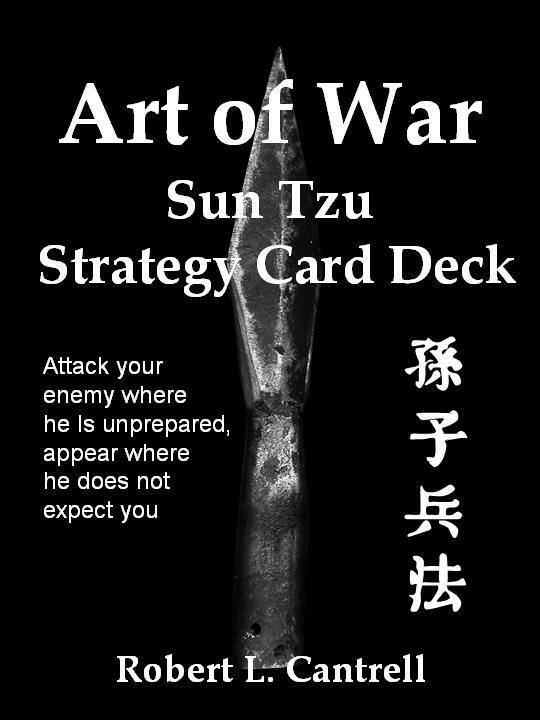 The core value of the Art of War Sun Tzu Strategy Card Deck is its capacity to help you think strategically. 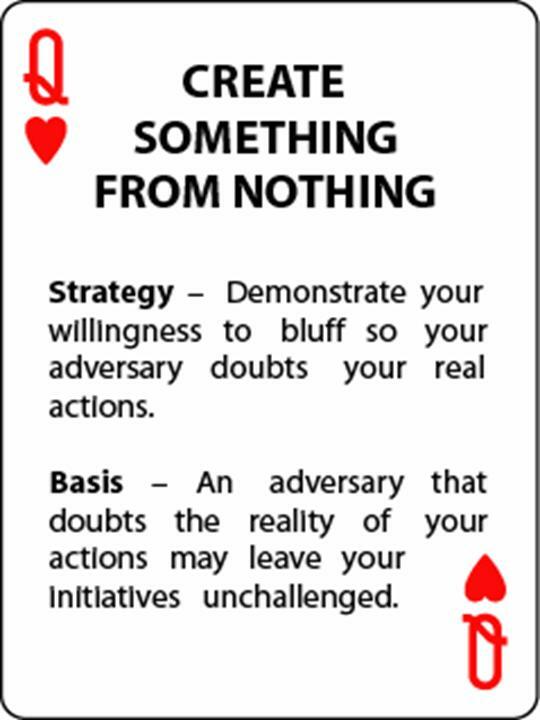 It is an easy tool to use to enhance strategic thinking abilities. The reason it will do this is in the content. 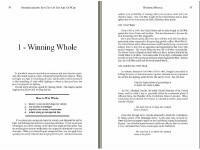 It is absolutely the most concise summary of competitive strategy available on the market. 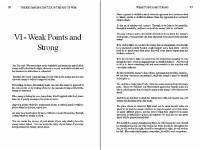 It summarizes, in approximately 1600 words, information about all aspects of conflict strategy that other authors, in traditional books, easily use over 100,000 words to describe. 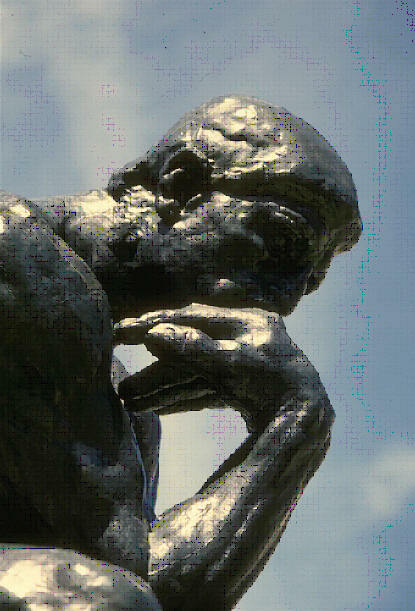 The most common way buyers use this product is as a tool to think through options. In that role, it serves as a sort of 'strategy playbook.' 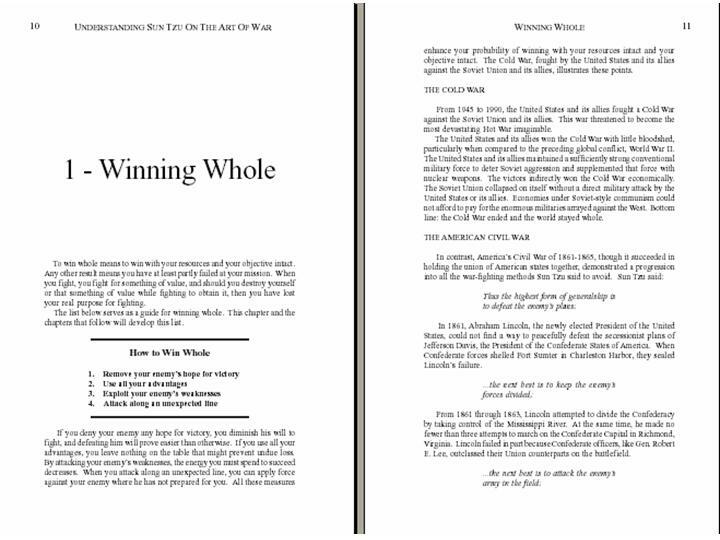 And just like the plays of an American football game, the drive to the goal line may involve a series of strategy plays, one setting up the other until you succeed. The cards are compact, easy to fit into a pocket or briefcase, and can be reviewed in their entirety prior to any critical engagement – to to include those points in travel when you have to turn off all electronic equipment. 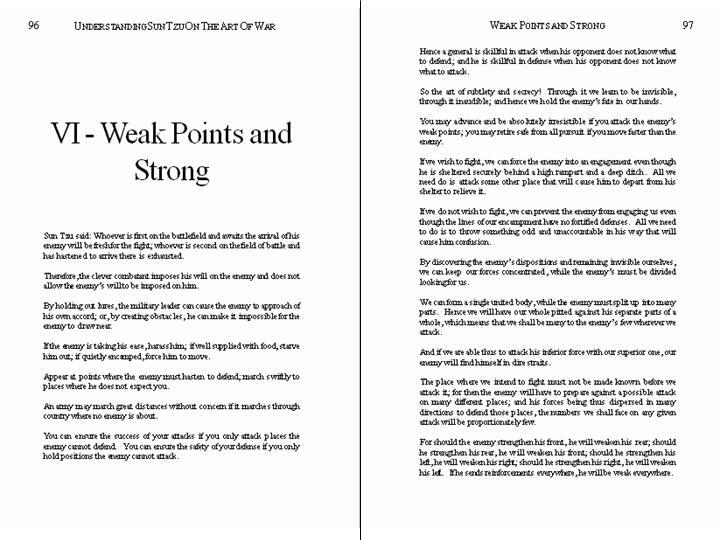 Over the last eight years, I have found that most executives and lawyers who have purchased it simply keep a copy on their desks. 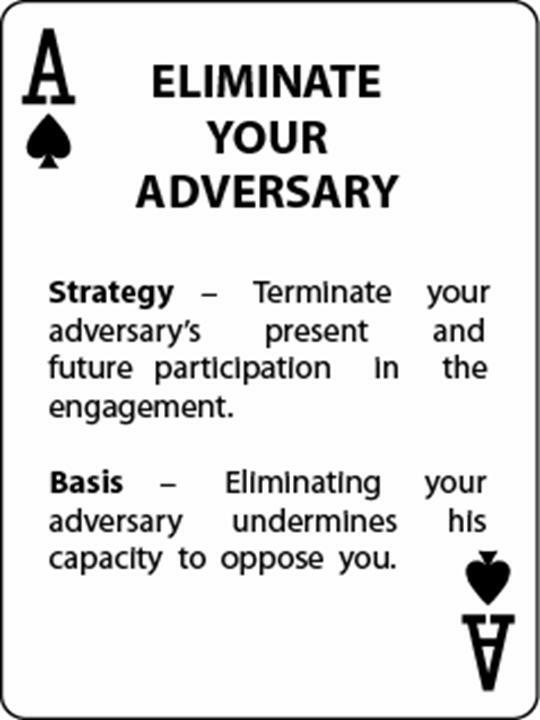 If you and other parties each have their own copies, the cards also provide a common strategic language - i.e. "we're going to do an Ace of Hearts." This last use has been most common with Hollywood directors and producers who have bought copies and use them when planning and shooting film because it nets out what they or their characters are doing. Trainers that run war games will particularly enjoy the cards for the randomness card format presents. 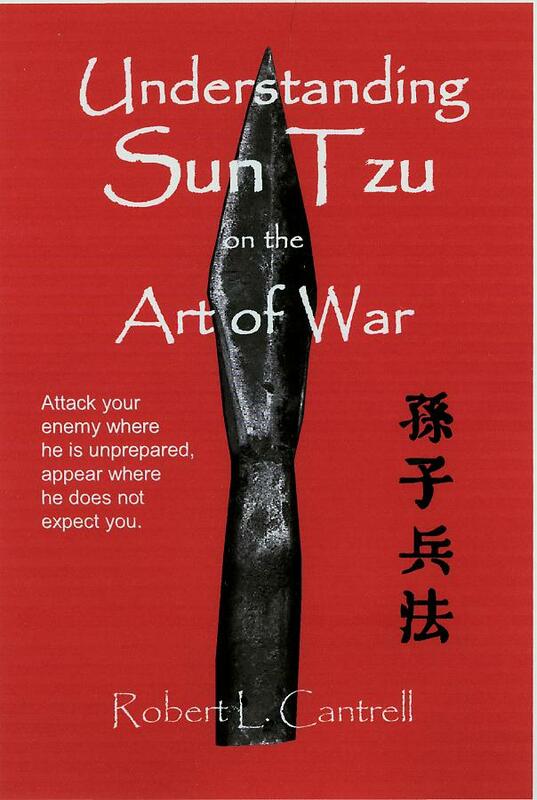 Need your adversary to do something unexpected? Pull a card and deal with it.